Several flavors of protein bars manufactured by Clif Bar & Company have been voluntarily recalled due to possible peanut contamination. The FDA announced the recall when it received numerous consumer complaints alleging peanut or tree nut allergic reactions. The bars could contain nuts that are not listed on the label. The company is strongly advising consumers with allergies not to consume these bars. 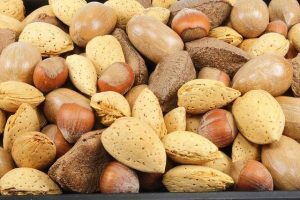 Nut varieties could include almonds, peanuts, brazil nuts, cashews, hazelnuts, madacamia nuts, pecans, walnuts or coconut. The product is sold online and in retailers across the United States. Snack bar flavors affected are Chocolate Mint Flavor, Kid Zbar Protein Chocolate Chip, Protein Chocolate Mint. More information can be found on the Clif Bar website or calling 866-526-1970. Some product defects leading to injuries can be traced back to poor manufacturing or inadequate product labeling, while other injuries stem from a manufacturer’s failure to warn of known dangers. In order to build the strongest case possible and increase your chances of recovery, our firm collaborates with a highly regarded network of industry professionals to provide the expert testimony that is crucial in product liability claims. The debilitating consequences of recalled and defective products can be several fold. If you have been harmed and would like to speak with one of our LA product liability lawyers, we are pleased to offer a no-charge consultation. Contact us at 310-641-3335 for a review of your case.